Today you’ll be going back in time to go to the rendezvous as a trapper or trader. You’ll try to get rich trading goods and services with other people. Along the way you’ll face untold dangers in the wilderness. The ones who make it through alive…win. So begins our Time Travel Field Trip to 1834. It’s unlike any history lecture, textbook or presentation you’ve ever seen. Why? This is different. Click the links to learn more. Why was the rendezvous important to both the trappers and traders? What were the economic realities of the rendezvous? Was it better to be a trapper or a trader? What was life like as a trapper or trader? What was it like at the rendezvous? What goods and services did the trappers and traders provide to each other? How do geographical features such as rivers and mountains affect humans? Use map skills to make wise decisions about the best route. Paintings from Alfred Miller, who traveled with the fur companies, are included in the student materials and in the movies as another layer of primary sources. Additional primary source support for student dice rolls included in the appendix. Share it with your students, read it for your own pleasure, or ignore it completely – whatever works for you! • (SS09-GR.4-S.1-GLE.2) Students know about the historical eras and groups in Colorado history. 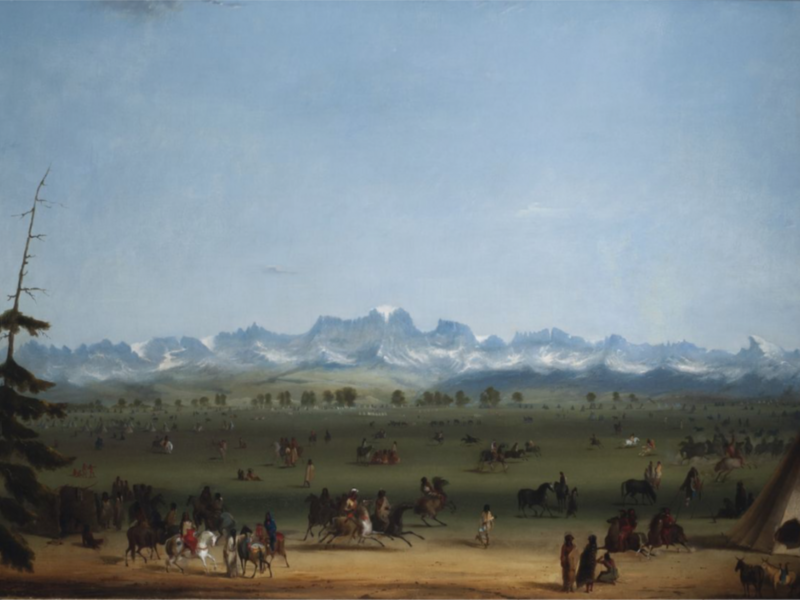 • (DOK 1-3) Give examples of the kinds of goods and services produced in Colorado in different historical periods and their connection to economic incentives (although this is the whole Rocky Mountain region. See lesson 3 for just Colorado).